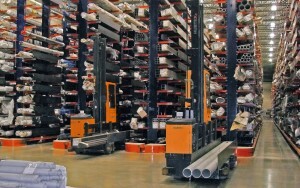 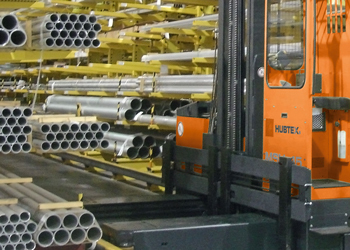 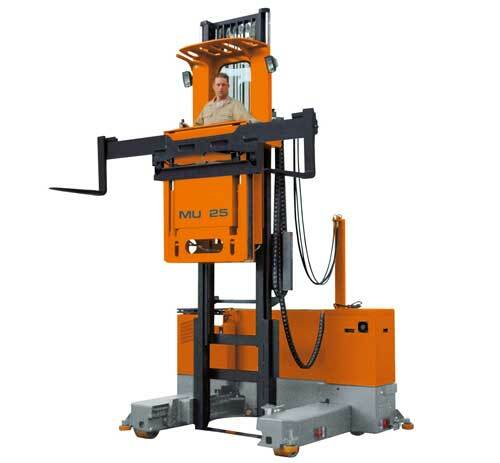 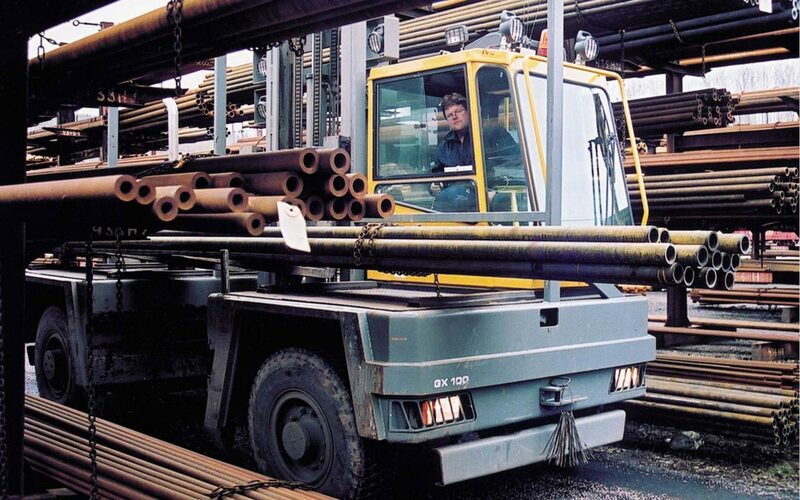 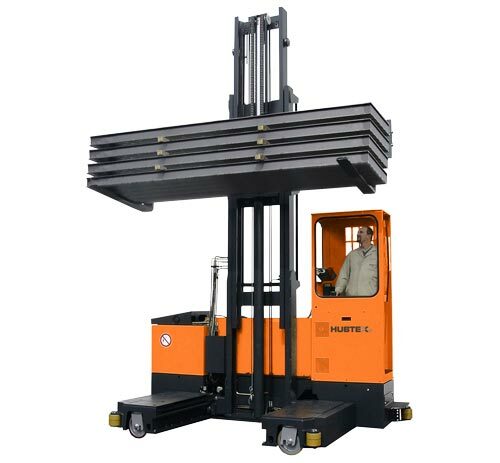 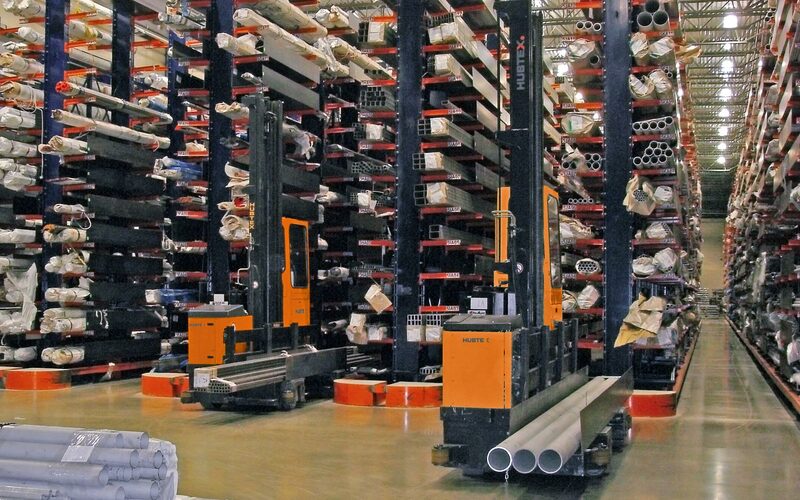 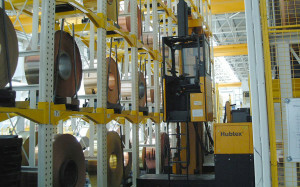 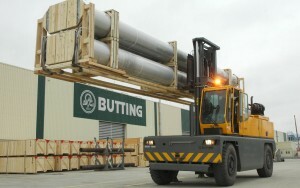 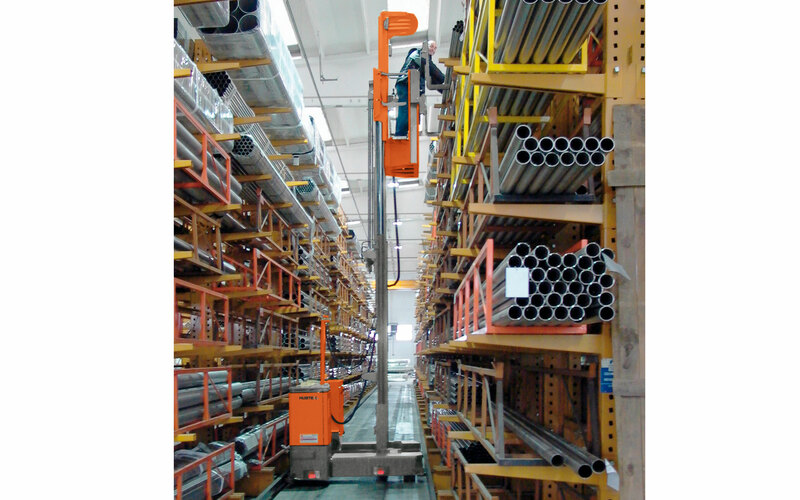 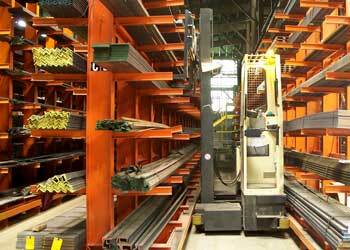 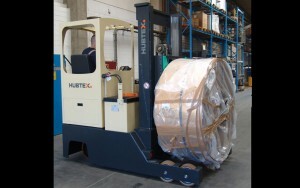 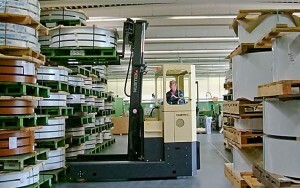 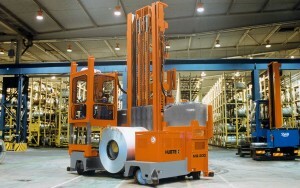 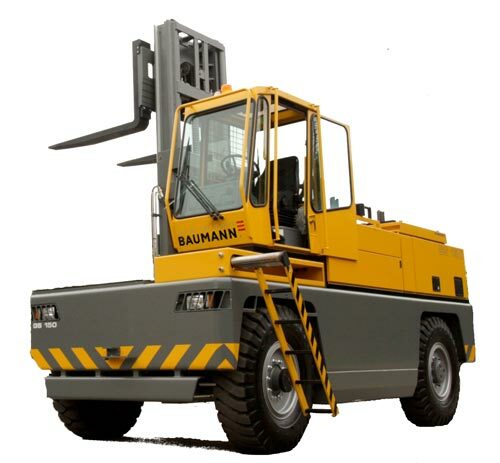 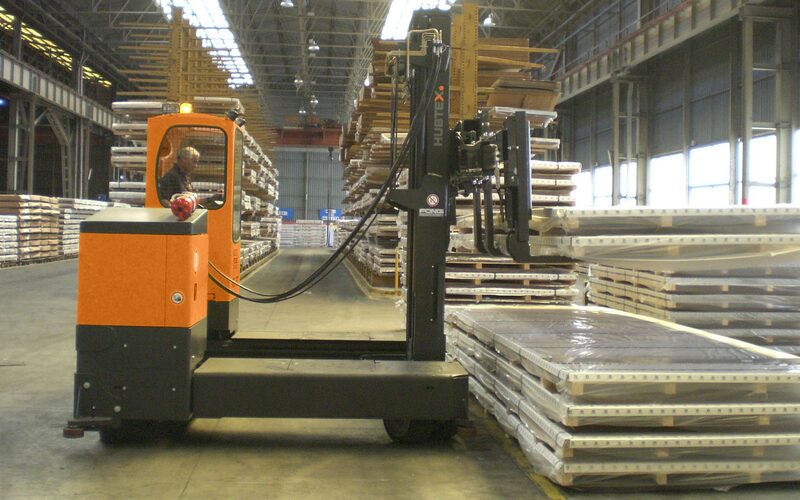 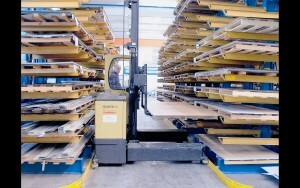 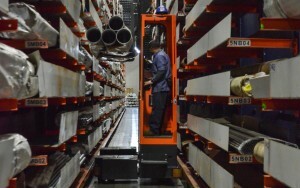 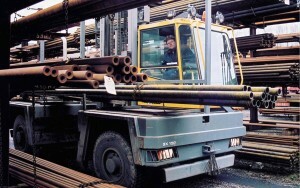 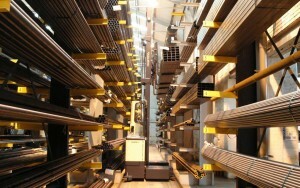 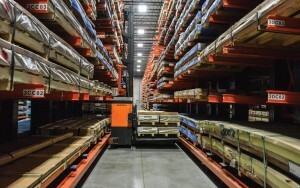 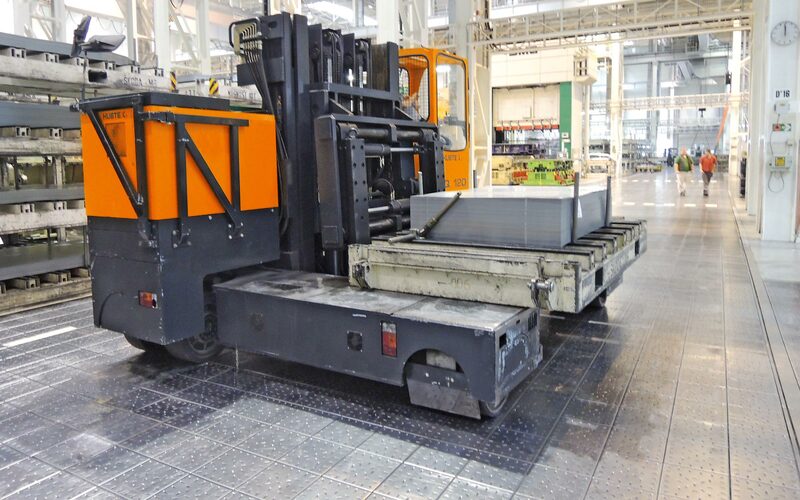 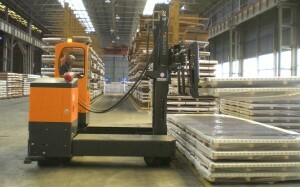 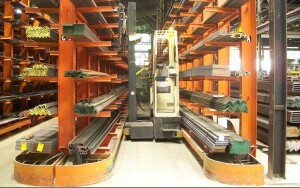 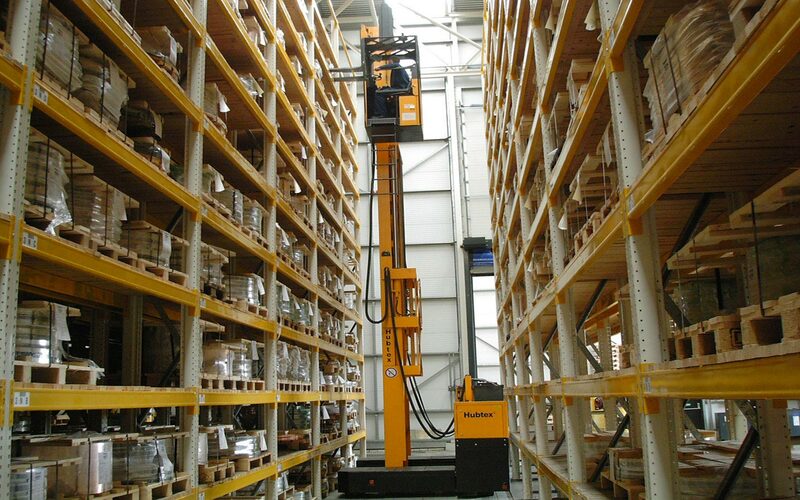 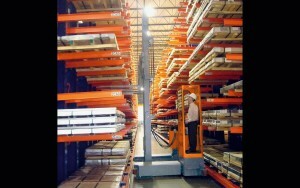 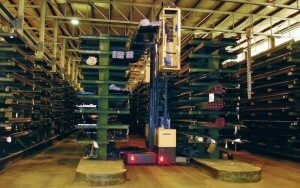 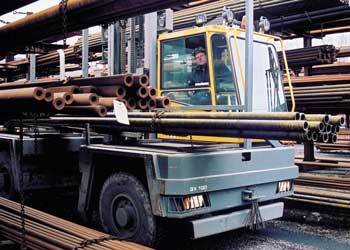 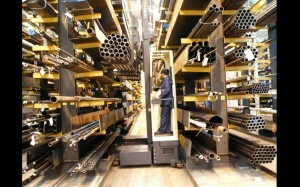 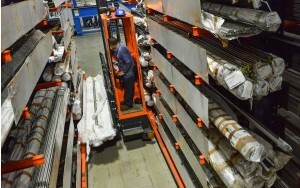 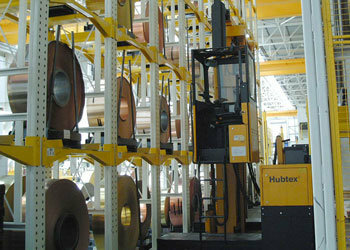 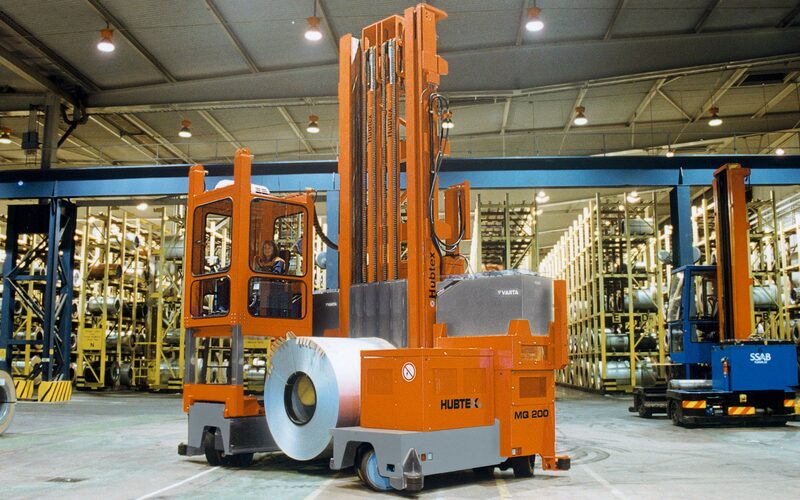 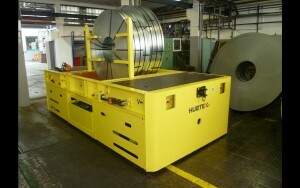 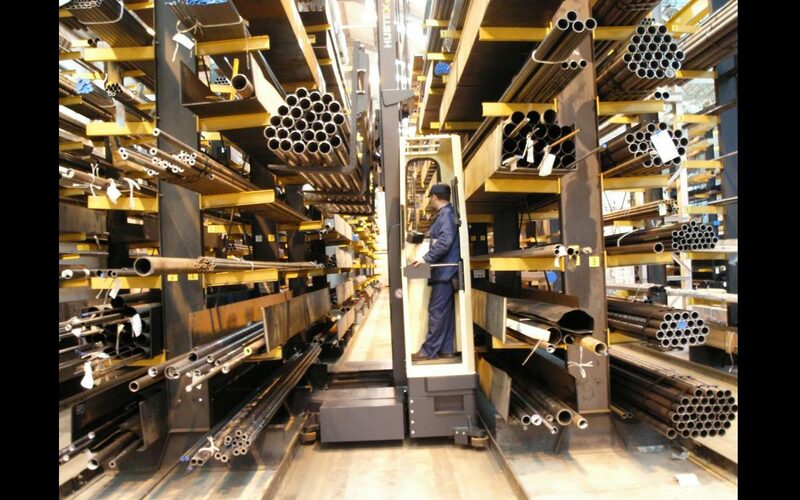 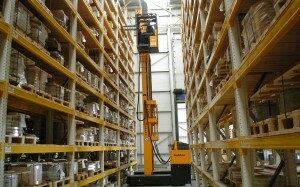 Productive, efficient and reliable material handling solutions. 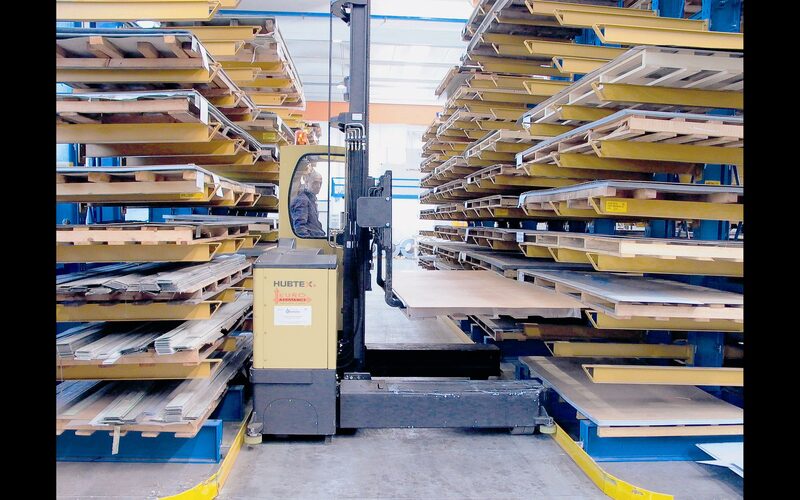 Regardless of what you are handling, Design Storage can make smart use of limited space. 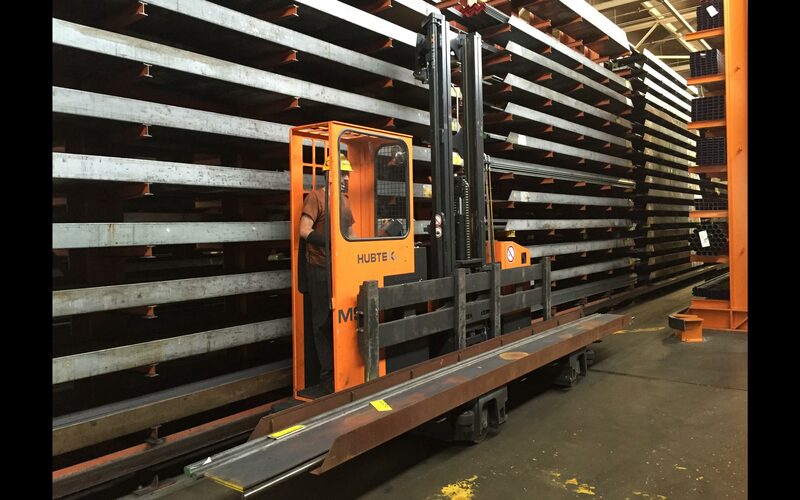 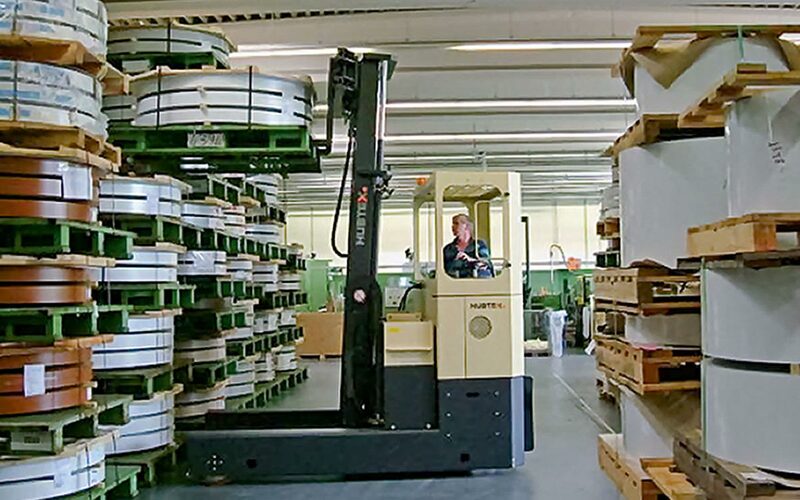 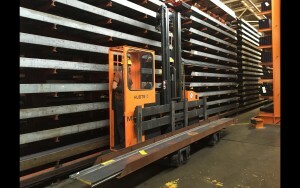 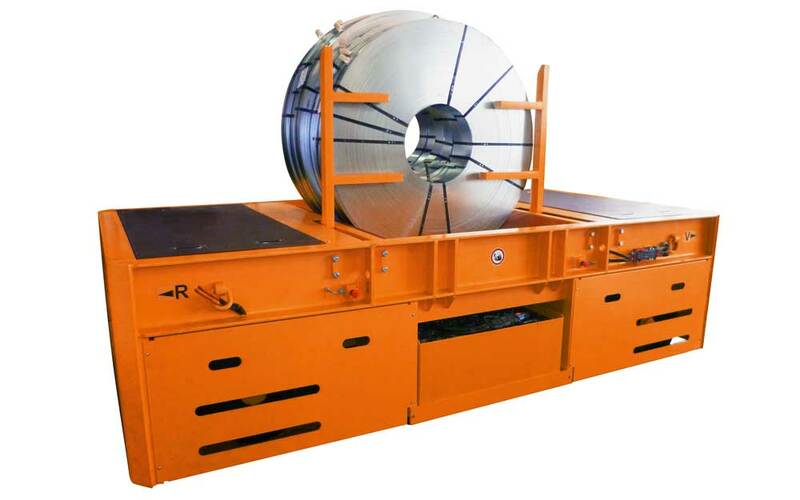 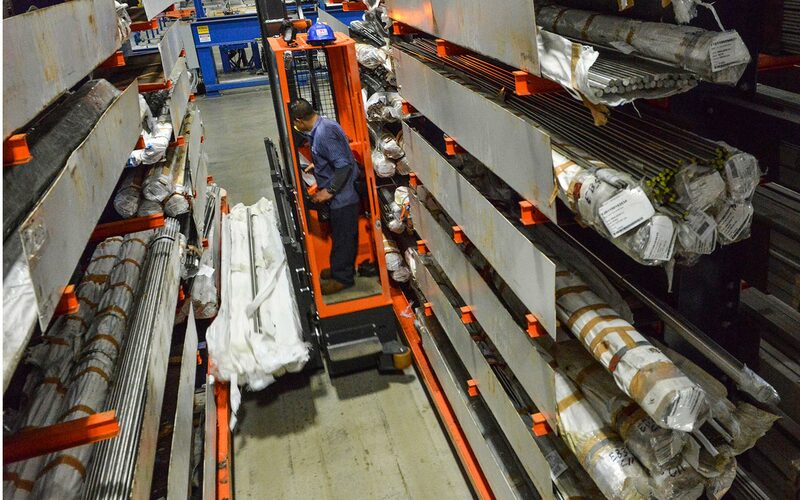 Whether it is long loads, stacks of metal sheets, coils or round bars, our multidirectional sideloaders are especially suited for narrow aisle rack systems. 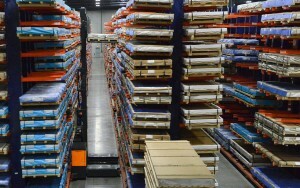 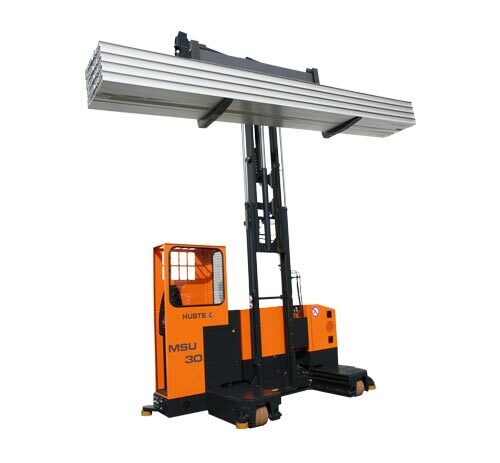 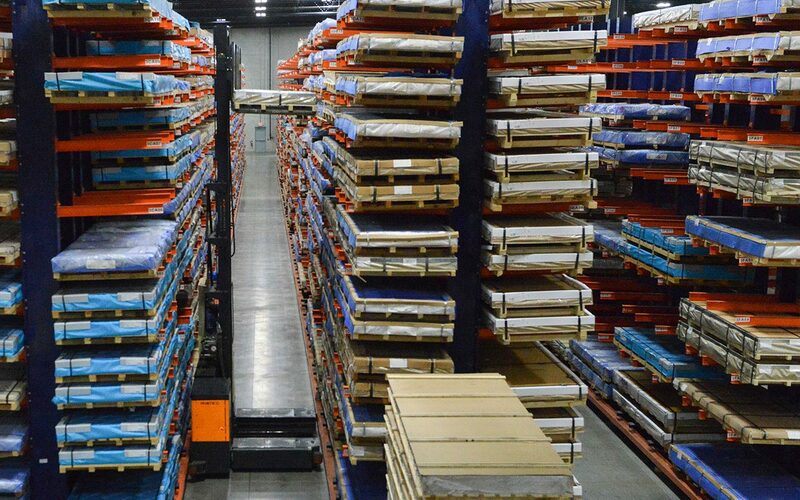 Design Storage and Handling has held a dominating position in metal storage centers with the highest reliability of any alternative. 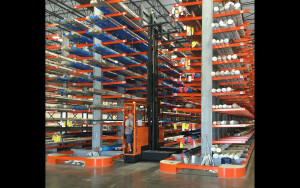 Supporting most of the metal industry, Design Storage offers the robust product line of HUBTEX sidelaoders to improve service center efficiency. 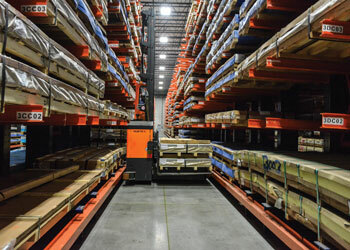 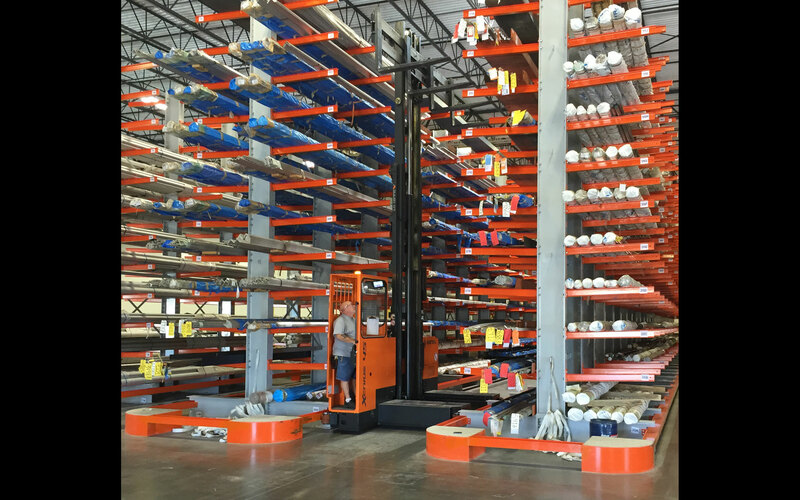 Design Storage offers reliable HUBTEX sideloaders and custom racking systems for transporting sheets and plates in metal service centers all over North America. 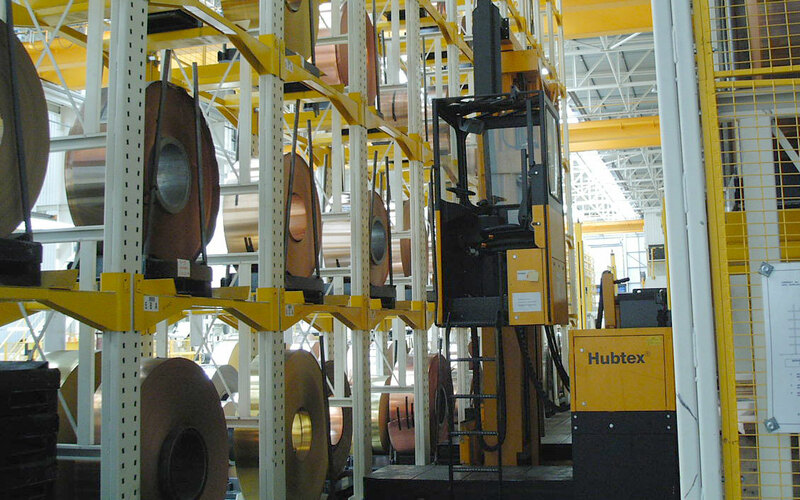 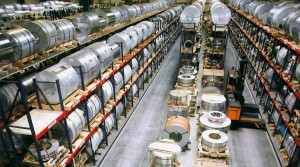 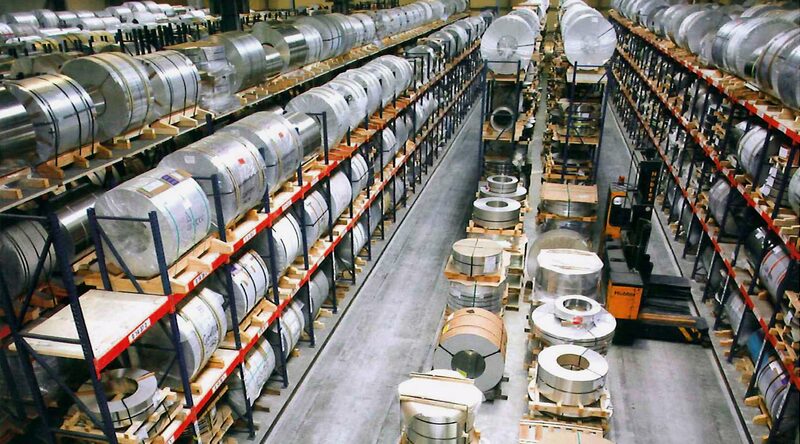 Design Storage offers an extensive line of HUBTEX products specifically designed for the safe and efficient transportation of coils and slit coil. Design Storage, with HUBTEX and Cavaion Baumann, provide the ideal equipment to handle long and heavy pipes and tubes in metal service centers.